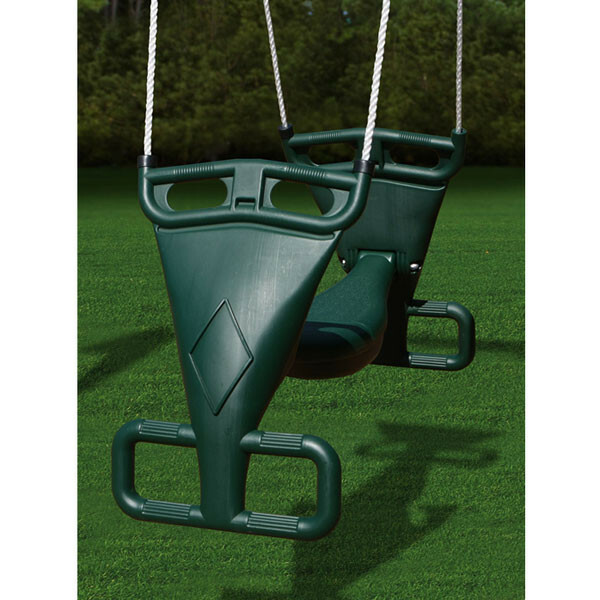 Great for two kids who want to swing at the same time, the Gorilla Playset Glider Swing is one of Gorilla's favorite accessories for children. Kids sit back to back on the wide, saddle-like seat where they can each hold on to two handles and put their feet in the foot rests. 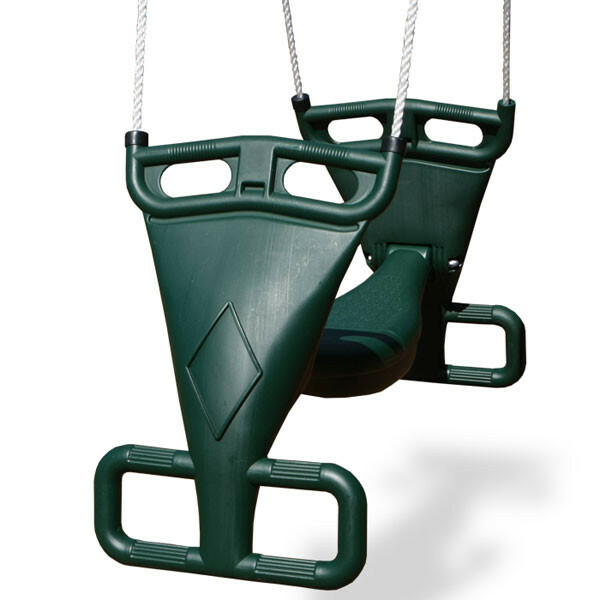 This design holds kids in while they swing back and forth using their feet to push them forward. 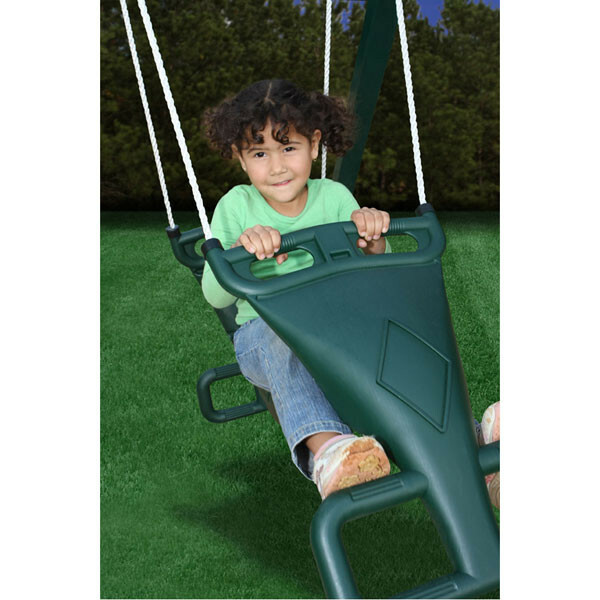 The Glider Swing easily attaches to any wooden playset with chains to connect to the swing beam, while ropes connect the swing to the chains. Holds 2 children or up to 140 lbs.